One of the most effective ways to correct bad behavior is by praising, encouraging, and rewarding good behavior. No one likes to be constantly corrected or told “no”. So by focusing instead on their positive behavior and your child’s effort to make a better choice, you can teach them in a positive way what behavior you want to see instead. If, for example, your child is choosing to hit, you can praise when they use kind hands instead. No matter what action you want to change. 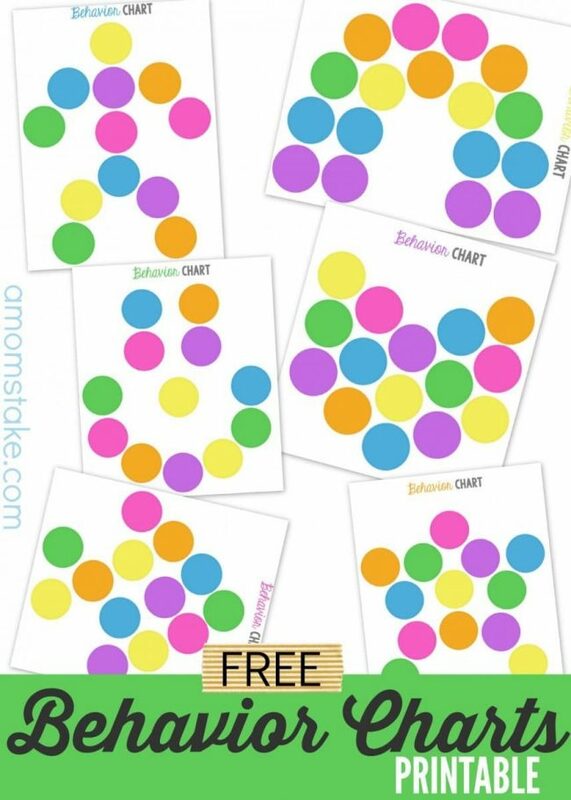 That’s where these free printable behavior charts come in handy! Pick a behavior you’d like to work on – and stick to just one. Name the positive behavior you’d like to see and write it in at the top of the chart. Each time you see your child following the good behavior, let them mark their chart, or initial it yourself, or let them pick a sticker to fill in the circle. 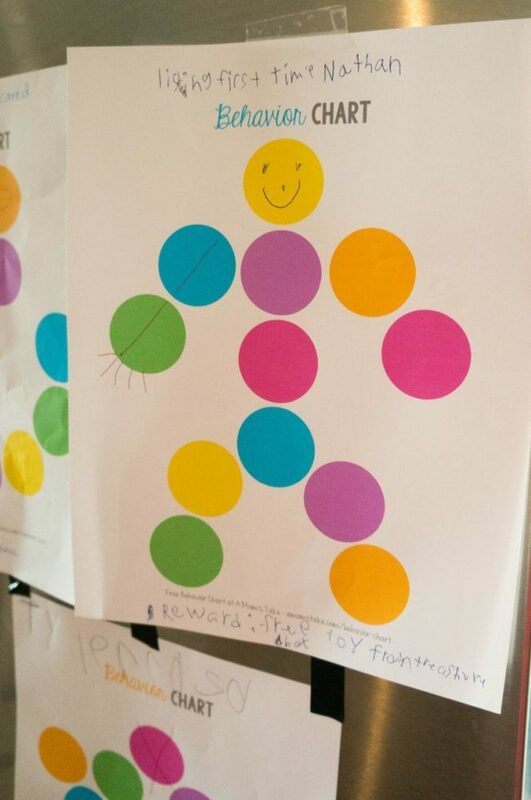 Decide before you start a reward your child will earn when they complete the chart. A reward doesn’t have to have money tied to it, and the reality is most children would prefer a special treat that involves time rather than money. The link above will open up the PDF file and you can choose to save or print any of the 6 free behavior charts you would like. There are different designs to keep it exciting and interesting for your children. Also be sure to check out our printable chore chart for kids! It’s just as bright and colorful with a simple 5-chore format! It’s part of our printable series including budget sheets, household organization, and more! Love this idea! I needed these a couple years ago, my son is not impressed by anything now that he’s hit his teenage years, hah! These are wonderful charts both in what they are teaching the child using them and in their bright colors and cheerful design. It’s more likely children will want to use these charts as they’re visually catchy. This use of positive reinforcement is a carrot approach to behavior changes and it is an exceptionally affective tool. You’re completely correct in pointing out that the parent should only choose one behavior at a time to eliminate. Using a chart that is displayed in a prominent location in the home where the entire family is witness to the child’s ongoing progress is a family joint effort, while the child working on it has the support of his/ her entire family. Oooh I like these, they are very fun. Thanks for posting. Hello from Motivation Monday. These charts are cute and easy to implement. I am always looking for better ways to implement rewards and these are great. Such a cute and colorful idea! Thankfully we’re well past the stage of needing it, but I’m sure many will find great value in it! What an interesting idea! I’m sure these will be especially helpful for parents raising their first or only child. What a great way to help kids correct a poor behaving choice!! It can be so easy to point out the bad parts. I love this idea. I know these are going to come in handy for my grandkids this school year. These are so cute, such a good idea. Thanks for sharing. I love these! As a school social worker and a parent, I can think of a ton of ways to use these. I think that this is a very good way to encourage good behavior and have kids feel good about doing it. I like the Free printable chart. I am getting one for my sister! This is great. Kids love it when you acknowledge and point out how good their behavior is – it usually makes them want to do more it to get the recognition of the Reward. I’m sharing this with other family members who will love to use this as well. This is a great idea. I am sharing it with my daughter-in-law. Great tip. I could use these in my therapy work. This is a fun idea. Encouraging better behavior can definitely be a challenge! 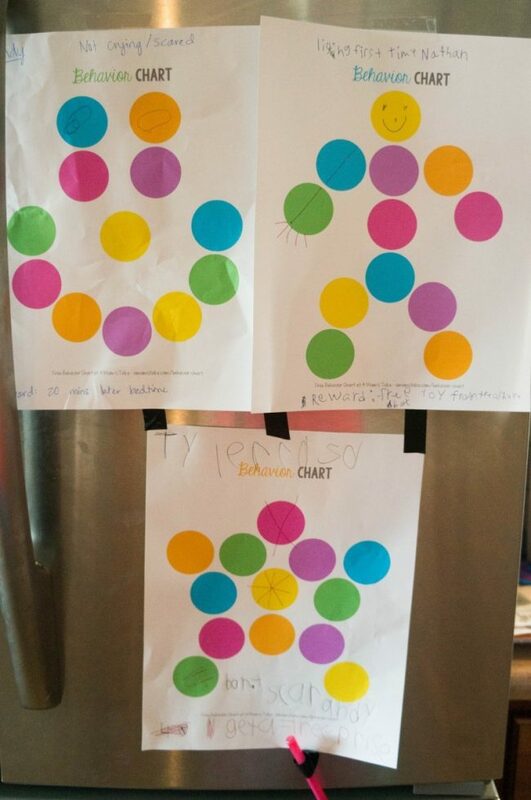 Thank you for sharing these – we’re always looking for good ideas to chart and reward good behavior!